Five Lazy Acres is a small vineyard in McLaren Vale, South Australia. 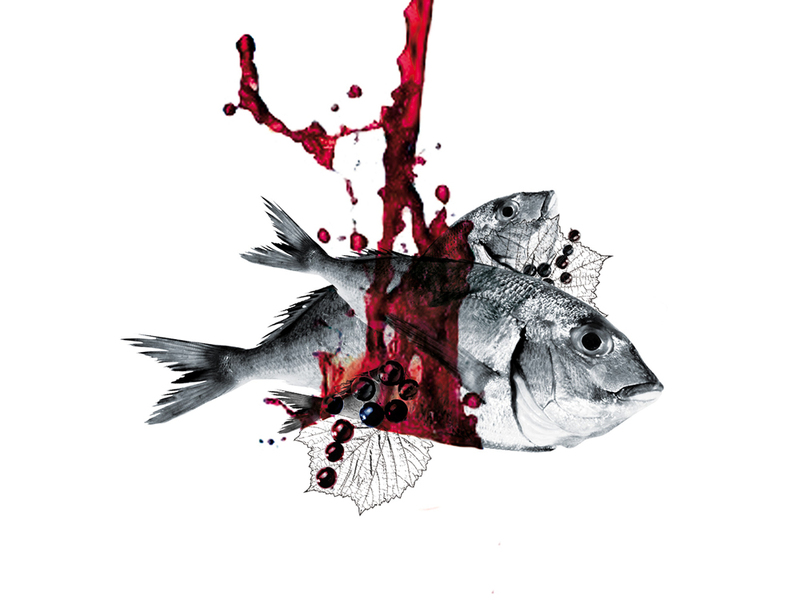 They produce a rich red wine, which matches excellent with fish dishes. Although unusual, this is due to the fish and seashell fossils found in the ground, which the grapevines draw nutrients from. They asked me to design a label for them, which had this reference to fish. 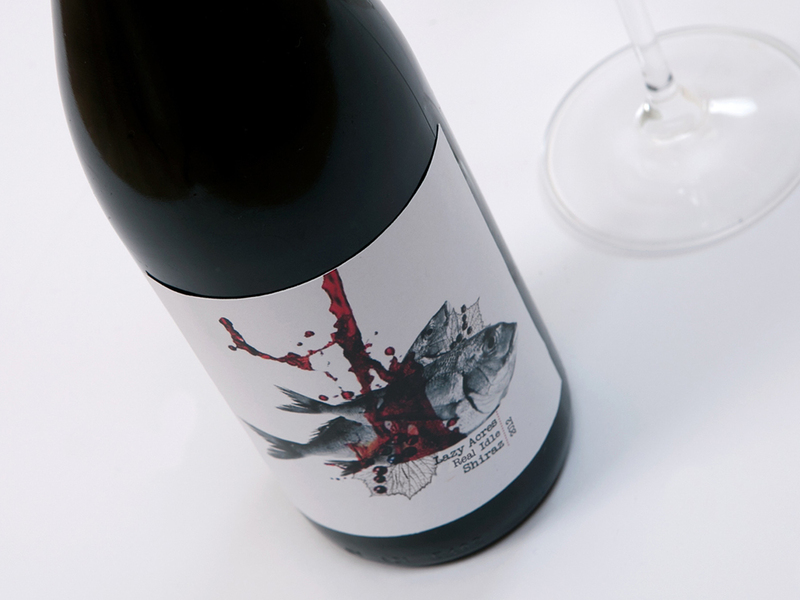 I created a simple, yet impactful, label, which is not shy about asking consumers to try redwine the next time they eat from the sea.